My class is lucky enough to share a class set of iPod Touches with another class. I often get questions about what we do with them, and how we use them to increase student learning. 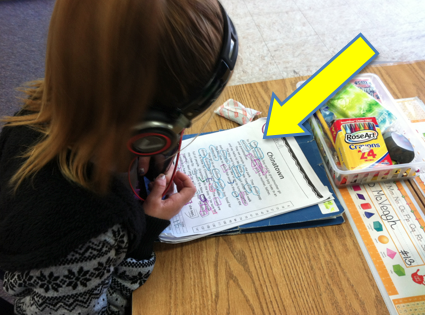 I wanted to share one way we use them during our reading time to improve fluency. For my UA rotation, I have the below grade level group of kiddos who are struggling with reading. Right off the bat, I knew they needed to work on fluency (in addition to many other things). 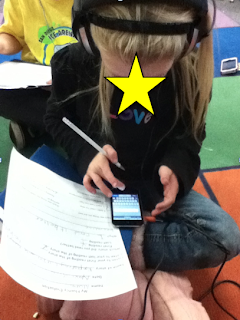 The iPod Touches have played an important role in improving their fluency and allowing the students to hear themselves reading, rather than me telling them how they are doing. 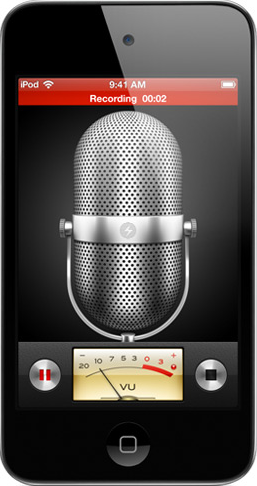 Without any instruction, the kids use their iPod Touch to record themselves reading the summary using Voice Memos. This is their "first read." The kids then listen to themselves reading, which is very powerful since they can actually hear and evaluate themselves. Then we talk about how we did. Most students are disappointed with their reading, and this leads to a discussion about how we can improve our reading next time. These points and strategies then become short mini-lessons during our UA time together throughout the week. For our warm up for each UA session each day, the students are timed for one minute and practice reading the same story summary. They do two rounds of this, and during the second round they try to "beat their score" from their first read. They really enjoy watching their scores goes up as the week goes on and they become more confident with their reading. When we are about to finish the story, the students re-record themselves reading the summary using voice memos. This is their "last read." They then listen to both their "first" and "last" read. It is incredible to hear the improvement they have made in their reading, and they can't believe how great they do too! 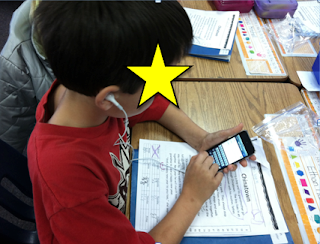 Also, we save the first and last readings to our Smart Playlists in iTunes to share with parents during conferences. Finally, they fill out this Fluency Self Evaluation form. It is pretty basic, but I wanted the kids to really focus and become aware of the little things that will help improve their fluency. 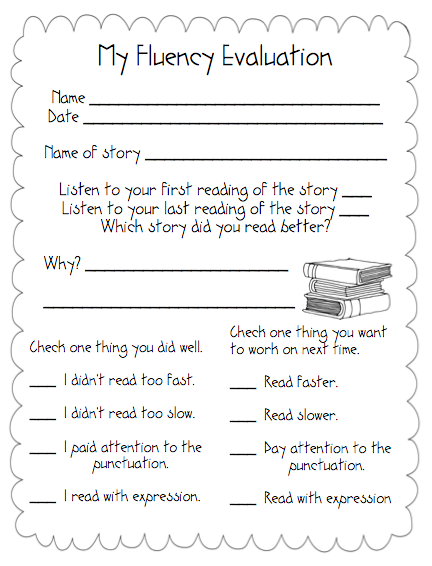 You can get a copy of the Fluency Evaluation here. Even if you don't have a class set of devices, this fluency activity can be done with a laptop using a program like GarageBand or Photo Booth. I'm also sure there are programs on a PC too you could use! You could also use an iPhone or iPad, even if you just have one. (If it's your personal device- have the kids WASH THEIR HANDS before using! I learned my lesson on that one. Gross!) Just as long as they can actually hear themselves reading. 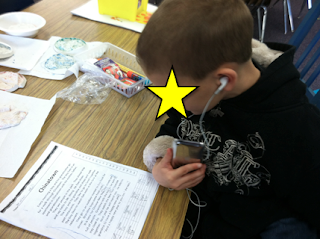 I have found it extremely beneficial for students to be able to hear themselves reading. It builds confidence and allows them to take responsibility and pride in their reading and learning. When I tell them how they are doing, I'm pretty sure it goes in one ear and out the other (as much as I would love to believe they appreciate and treasure every single little tine word I say throughout the day). It's meaningless. When they can evaluate their own reading, they strive to improve and become more aware of the fundamentals that will help them become stronger readers. Let me know if you can use this Fluency Evaluation, or if I can change it for you to meet your needs. I would be more than happy to do that for you. This is a super idea. RAZ kids actually also lets you do record the kids reading. Great tool! Just found this post. Love that idea. I used to do it with a tape recorder back in the day! Amazing that you have all that technology! Our district doesn't have anything; I'm still waiting for a SmartBoard. Now that our levy has failed once again, I can probably forget about that one. This is great! I modified it slightly to include an item about self-correcting, but I plan to start using it this week! We have netbooks with Audacity (free) loaded on them, so I plan to teach kids to record themselves. Thanks for this! This is fabulous!!!! Thank you for sharing.. this is exactly what I needed now that I have started using CAFE strategy groups!